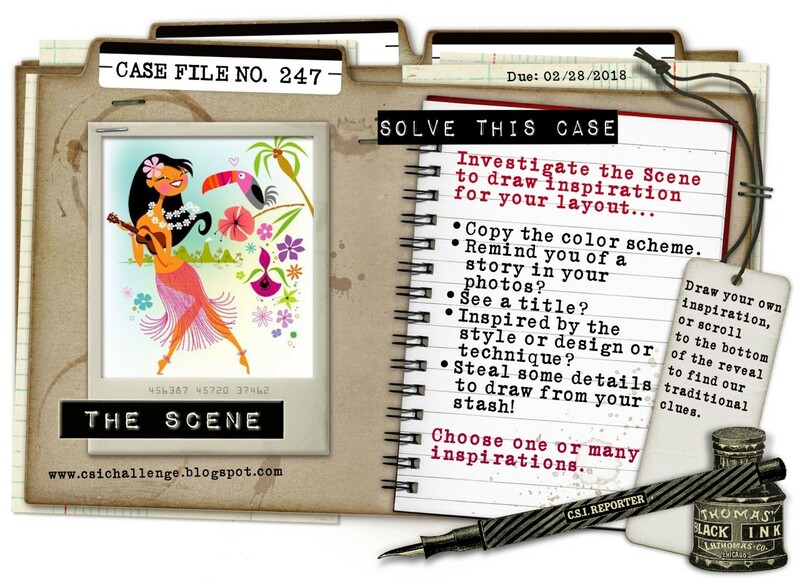 It's the 1st of the month, so time to reveal another Case File over at CSI: Color, Stories, Inspiration. 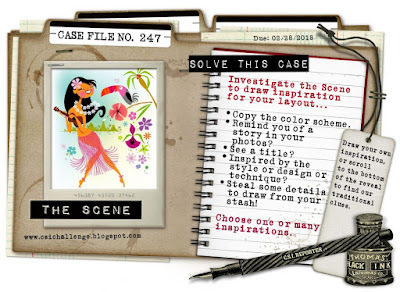 Pop over to the CSI blog to check out the full case file, with a list of clues to follow, and see all the other DT pages for slots of ideas and inspiration. I tried to capture the general feel of the inspiration image, used all those beautiful summery colours and several items from the Evidence list - solid white background, mixed media, flowers, hearts, leaves, a bird, and something fringy (a home-made tassel). Thanks for dropping in today, see you again soon! Oh what a night eh! A gorgeous candid photo, beautifully scrapped with the bright embellies. Good to see you creating up a storm Annie.